Imagine being a combat athlete with all sights focused on joining the upper echelon of the sport. The big time is right at your fingertips, but then you suffer one setback. No worries. Stand up, get back to work, win and defend a minor championship a few times. Then, it’s back to knocking on that door. Along comes another setback. Fine. You’ve been through this before. You know what to do. Get back in the win column and then, well, three losses in a row. Doubt seeps in. You start to question yourself. You wonder if this is even the right thing for you. MMA veteran Adam Stroup went through this exact cycle. After running through almost all of the local talent in his native Colorado to kick off his pro career, Stroup’s road started getting really bumpy. 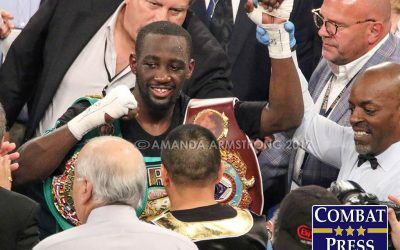 In fact, just to get back to some level of success, he took on an opponent with a 7-19 record in October 2017. 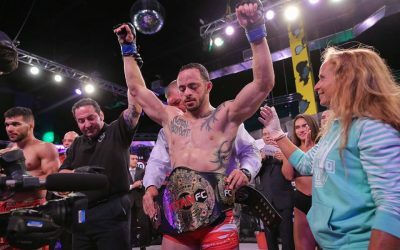 Ready to get back into real action, Stroup signed on to meet then-King of the Cage middleweight champion Sidiah Parker in a local Colorado promotion. He pulled off a dominant win in the April 2018 contest. Bumps in the road are a fact of life. No matter when they come or how they present themselves, what makes or breaks a successful person is not how hard he falls, but how quickly he gets back up. After the road finally smoothed out, Stroup was ready to start climbing the ladder once again. 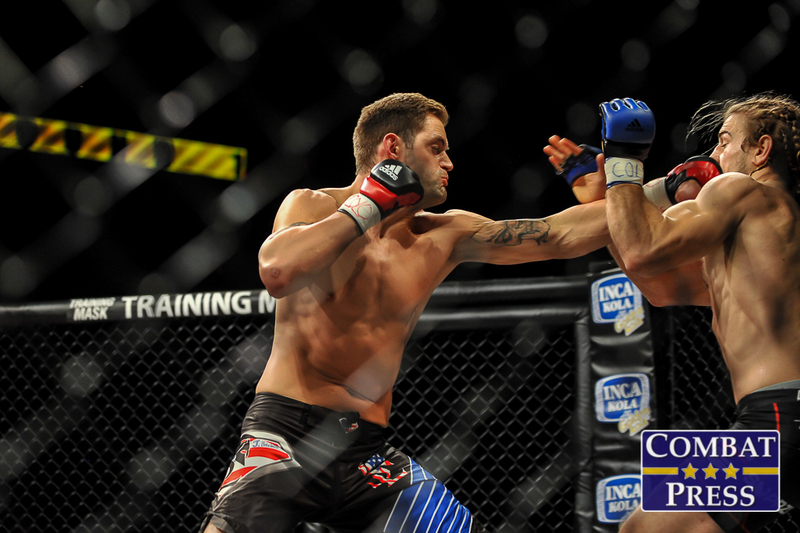 He had a shot at The Ultimate Fighter reality show in the fall of 2013. It was at least a whiff of the big show. That doesn’t just go away. Things had changed in the Colorado MMA landscape since his previous run of dominance, but 2018 seemed like it would be his year to shine. However, the road is full of bumps. 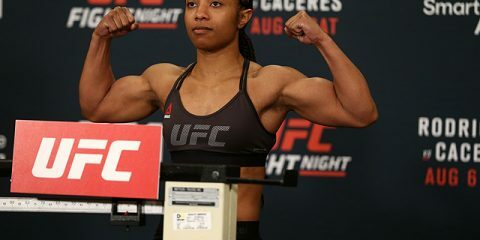 “I had two fights scheduled, and they both fell through due to things I cannot control, and I have not been able to fight,” Stroup, who made just the one appearance against Parker in 2018, told Combat Press. 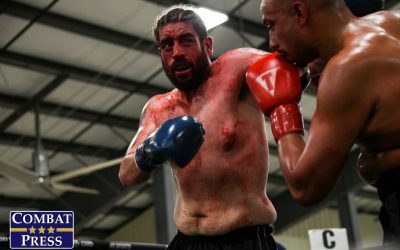 After a local promoter completely dropped the ball and failed to put together two entire cards — one didn’t even have a venue booked — on which Stroup was scheduled to fight, the end of the year was fast approaching. 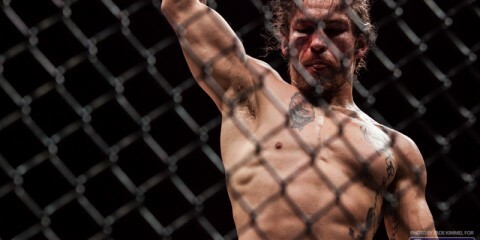 Stroup had been through almost three full fight camps, but only had one fight. This will mess with anyone’s head. 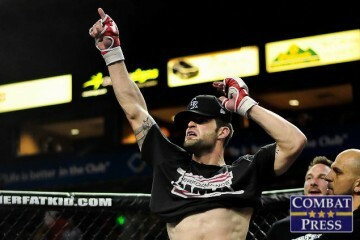 Many fighters, including Stroup, hold down full-time jobs to pay the bills while also training in the sport they love. However, fighting is not something to be taken lightly, and taking time off work to train means a loss of income. 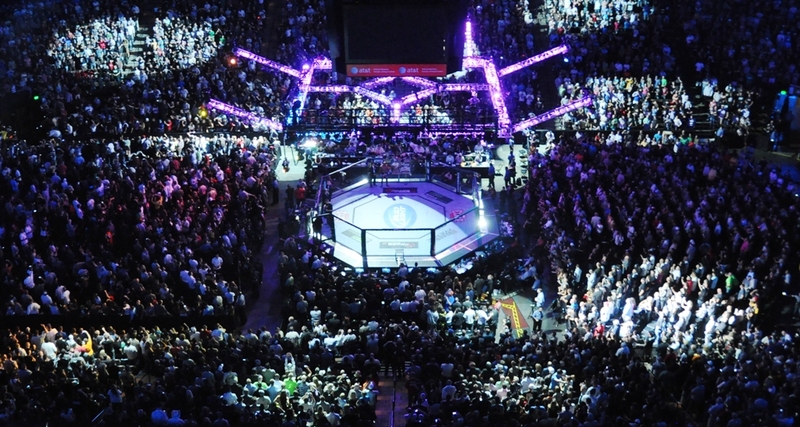 If the fight doesn’t happen, there is nothing to alleviate the financial stress. 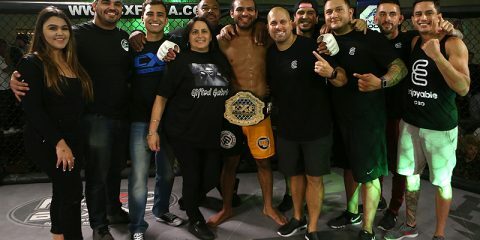 When Stroup got the call that Legacy Fighting Alliance was kicking off 2019 in his hometown and he possibly had a fight on the card, things were finally looking up. LFA 57 takes place at the 1stBank Center in Broomfield, Colo., on Friday night. 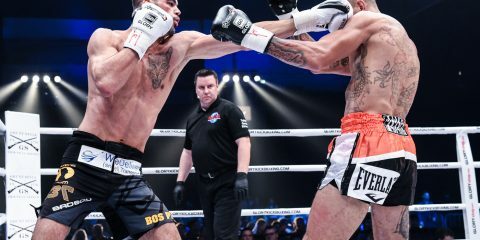 After many somewhat highly ranked regional fighters turned down the fight, Stroup found out he would get a crack at Lucas Rota, whose last fight was against Stroup’s teammate Ian Heinisch in 2017. Stroup and Rota are both dangerous strikers, but why did so many guys turn the fight down? “I have no idea,” Stroup said. 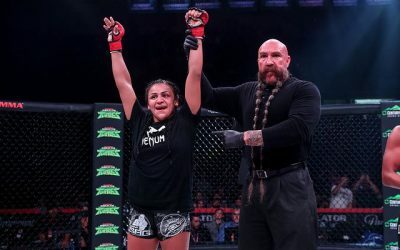 “I have no idea why they didn’t want to fight me, especially with such a big opportunity to be on the LFA card. 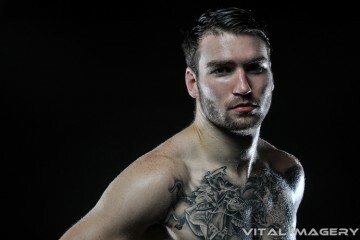 You think guys would be coming out of the woodwork to fight me, especially since I had some bad luck in a few fights. You never know what guys are thinking. It could be the altitude. I don’t know. Two of Stroup’s losses in his three-fight skid were to grapplers. John Poppie basically did no damage to Stroup and just wrestled him for three rounds. 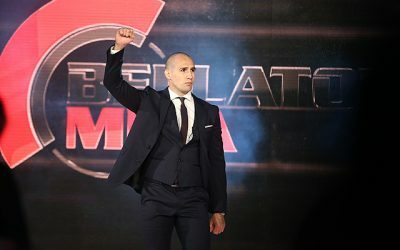 The badly battered Gabriel Checco displayed his skills as a black belt in Brazilian Jiu-Jitsu and scored a kneebar on Stroup late in a fight he was likely going to lose on the scorecards. The Brazilian Rota is a Muay Thai instructor and owns his own gym. 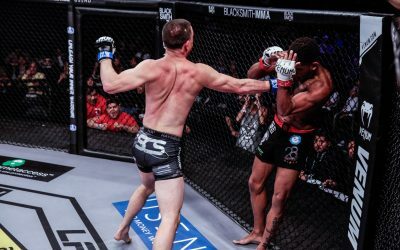 He is known for his striking prowess, so Stroup finally gets to showcase his best weapons on live television when the LFA event airs on AXS TV. It’s not that Stroup is a terrible grappler or wrestler, or that he comes from a terrible camp. Factory X Muay Thai is one of the top gyms in the Rocky Mountain region. The camp has a huge stable of fighters spanning every level of the sport. In addition to high-level wrestlers, Factory X houses BJJ coach Mario “Busy” Correa, who is a longtime decorated black belt. The thing is, Stroup wants to put on entertaining fights, not grappling matches. “When I first got into the sport, I was kind of ignorant to the fact that was a big aspect of it — wrestling and grappling,” Stroup admitted. “I figured this was some kind of gladiator-combat type thing. As the sport went on, the people with the real advantage are the real athlete-wrestlers. This became a big part of the sport. That’s not how I see winning a fight. I don’t like winning a fight on points. I would like to finish a fight if I could. Well, the good news is that, while Rota trains in BJJ as well, striking is right in his wheelhouse. This should be a very exciting fight for the fans. Stroup always brings the fire, and he always brings the crowd. Stroup is ready to put the past behind him. 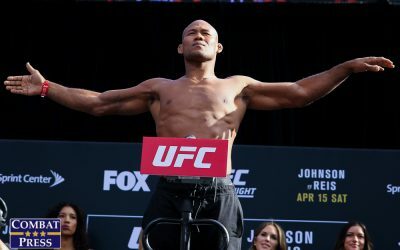 He has only ever had one goal in his fighting career, and that is to make it to the big show. He is still a young 32 years old, and while he doesn’t expect the road to always be smooth going forward, he knows that his destiny lies in his hands.